When you think of Vienna, romantic architecture, stunning scenery and fairytale castles spring to mind, but there’s a lot more than meets the eye to this fair city. Bathed in rich history and traditions, there’s so much to see and do here for culture lovers. Here are just five of the top attractions you must see when next taking your trip out there. You’ll be spoilt for choice when it comes to art galleries, and there are collections to suit all tastes. If watercolours and drawings are your passion, head for the Albertina and view 45,000 of them. If you’re into Pop Art and Photorealism, Andy Warhol and Jasper Johns await you at the Museum of Modern Art. If you favour tradition, why not combine art and history by visiting the Kunsthistorisches Museum of Art. From Greek and Roman collections to ancient sculptures and decorative art of old, this is one not to miss. If gastronomy is your area of expertise, you’ll find everything from old-style Viennese cooking, to hipster hangouts or chic and stylish fine-dining. Click here for a guide to the best restaurants in the area. If you’d rather go local, why not grab some street food after walking around a flea market in search of hidden treasures. Plus, boasting seven square kilometres of vineyard, Vienna is the world’s largest wine-growing capital city. Don’t forget to wash down all that rich food with fine wine. What could be a more sophisticated outing than good food, fine wine, and an evening at the opera. Viennese opera houses are home to regular ballets, classical music, seasonal concerts and other special events. Why not take a look at the up-coming shows so that you don’t miss out on your next trip? 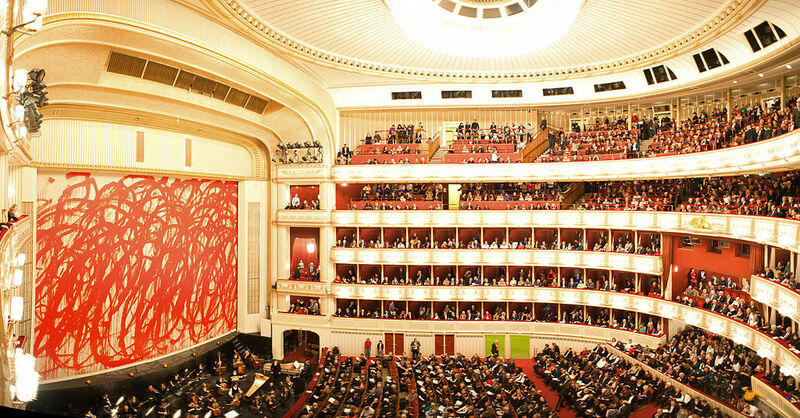 Whether you want to check the calendar or reserve seats, Vienna Opera Tickets has everything you need. Vienna has over 100 museums within its boundaries, so you won’t be short of places to go. Start at the Vienna Museum and walk through the artefacts and exhibits that piece together Vienna’s history. From materials used to create some of the most iconic architecture in Vienna, to relics dating back to the Stone Age, the Natural History Museum is bound to get your cultural juices flowing. But if that’s not enough, why not drop in for tea at Mozart’s former home, or Sigmund Freud’s place, both now popular museums. Tours of the city stretch from professional photography tours to cycling routes. If you really want to see the city in style though, take an eTukTuk tour to the best hidden gems in Vienna as seen from the rooftops. Off the beaten track, it’s the best way to sample the cultural delights the city has to offer, and it ends with free drink at the coolest rooftop bar in town. Hopefully the culture-vultures out there will be heading for these places in the near-future – we’ll see you there. Tagged Austria, Central Europe, culture, restaurants, Vienna. Have You Ever Experienced a Night Out in Prague? All content © 2016 by Europe Travel Catalog.